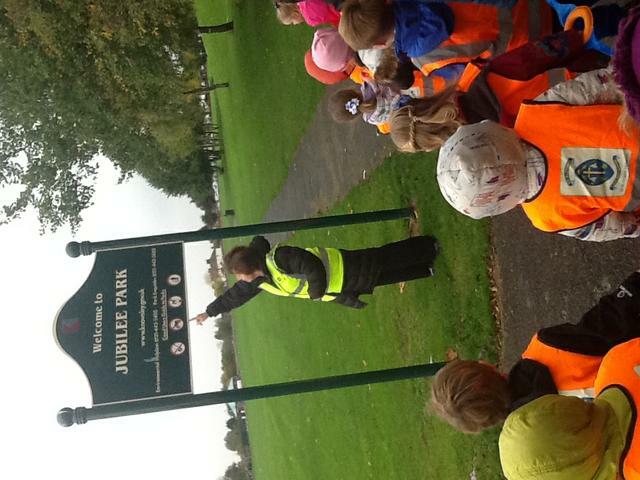 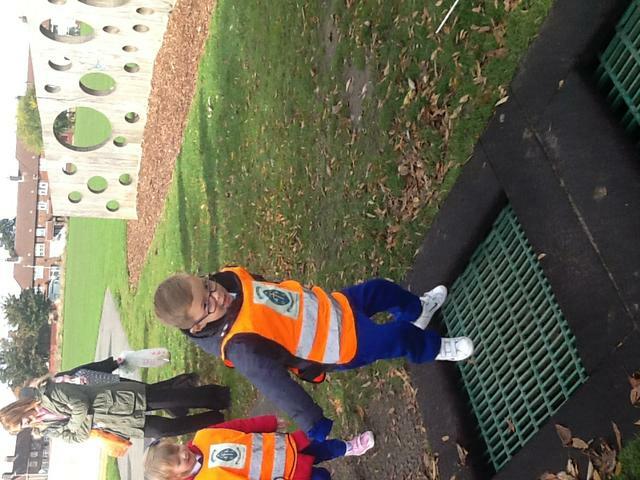 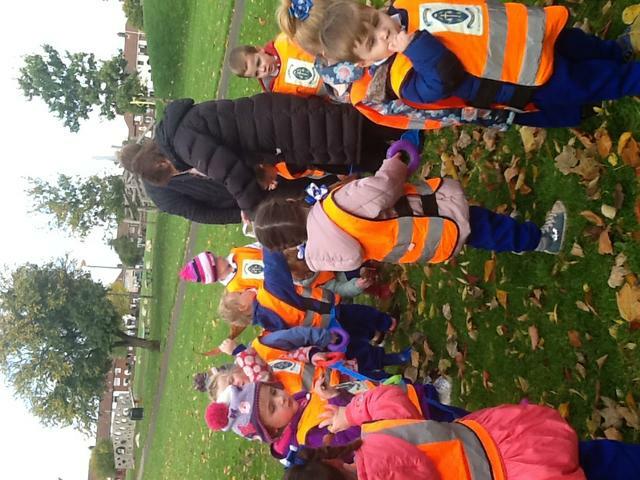 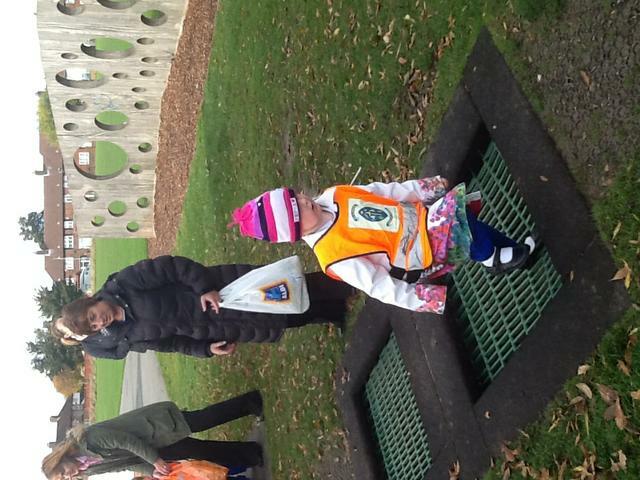 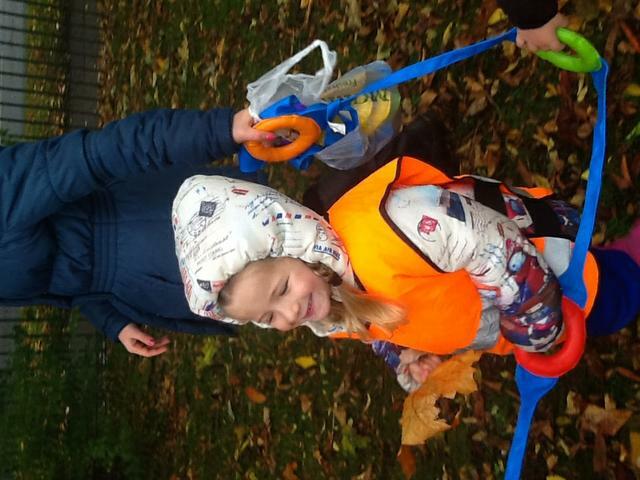 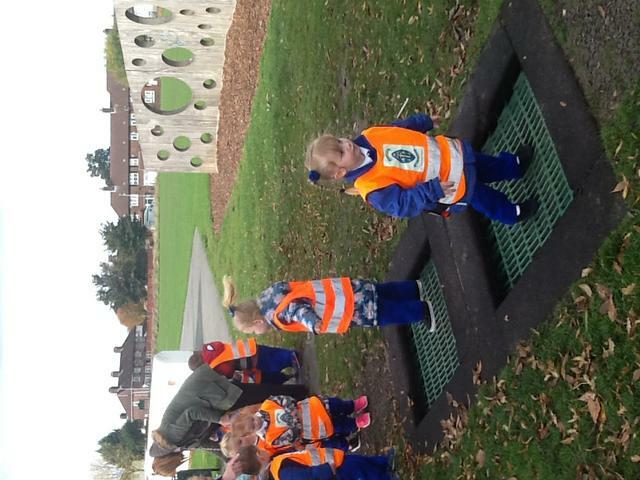 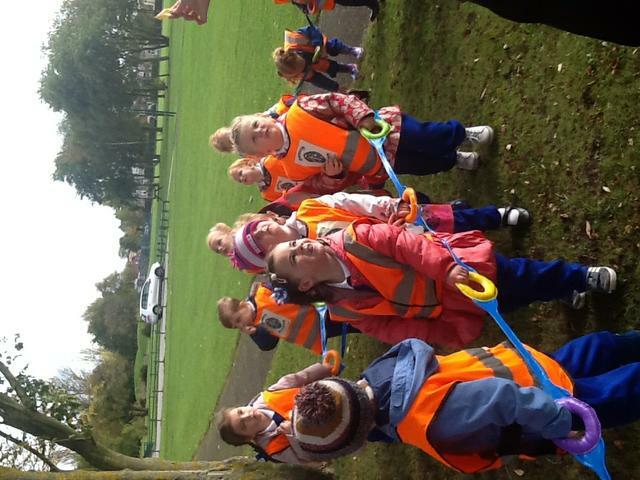 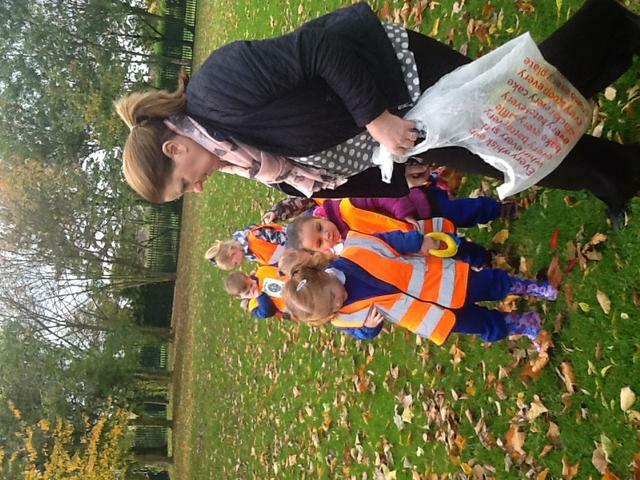 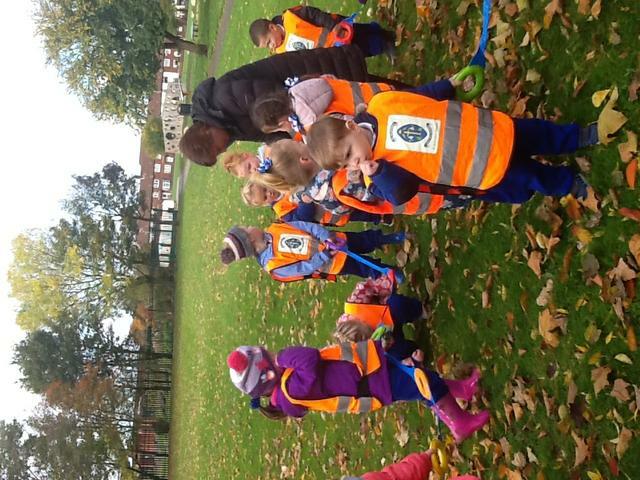 Today we took part in an Autumn walk around Jubilee Park. 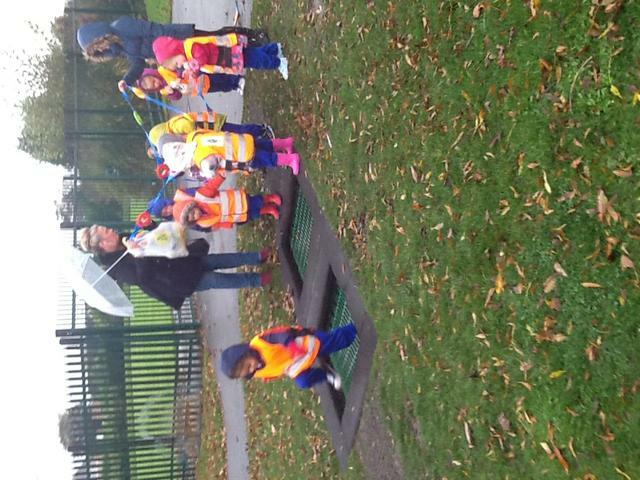 The weather was a little grey and damp, so our teacher thought it would be best to stay local just in case! 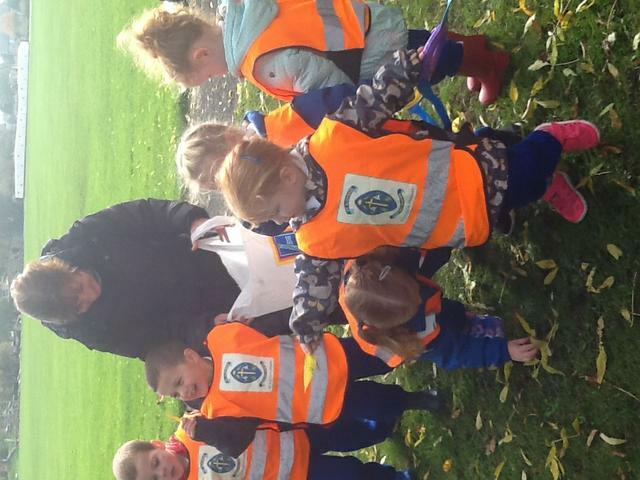 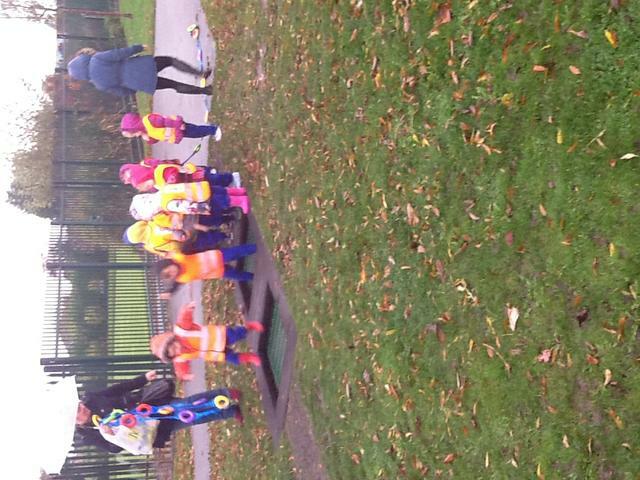 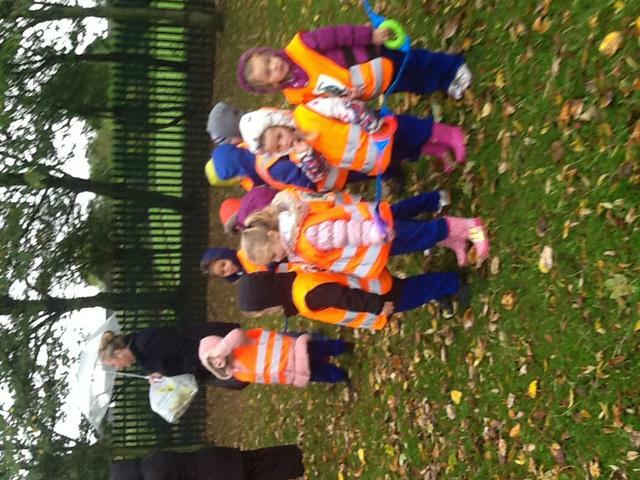 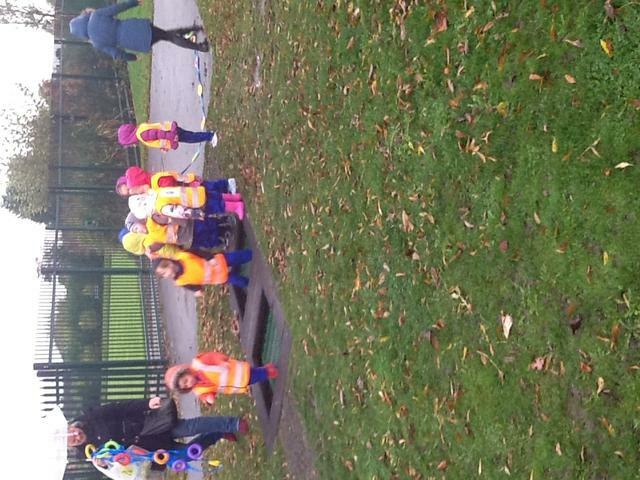 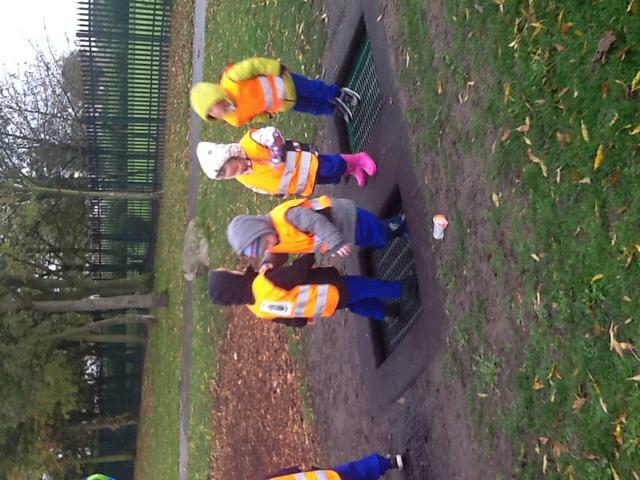 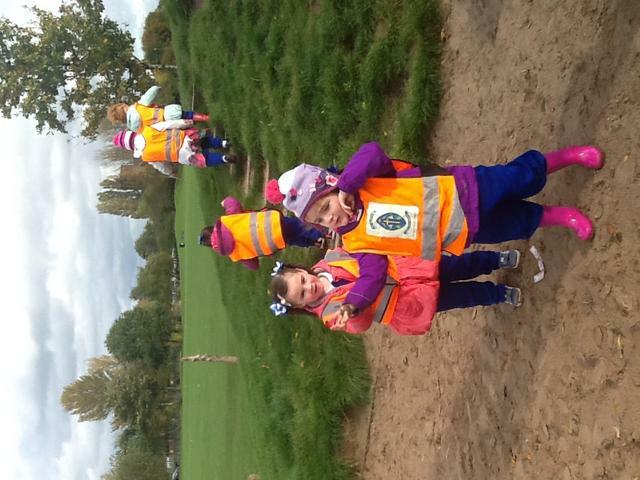 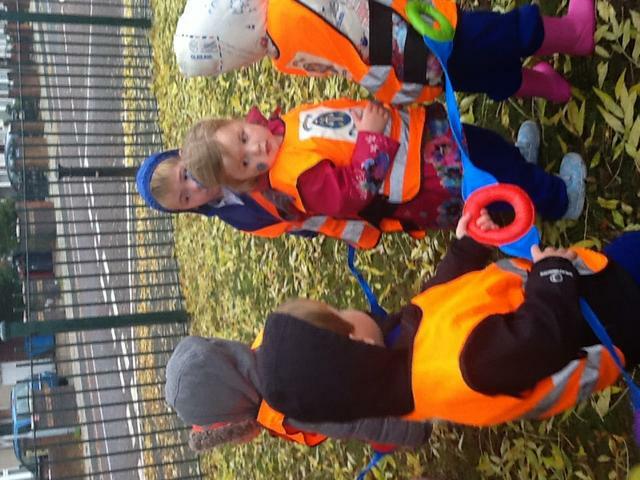 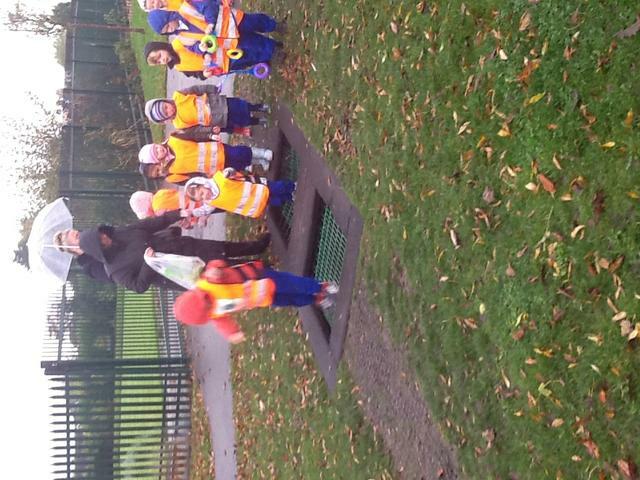 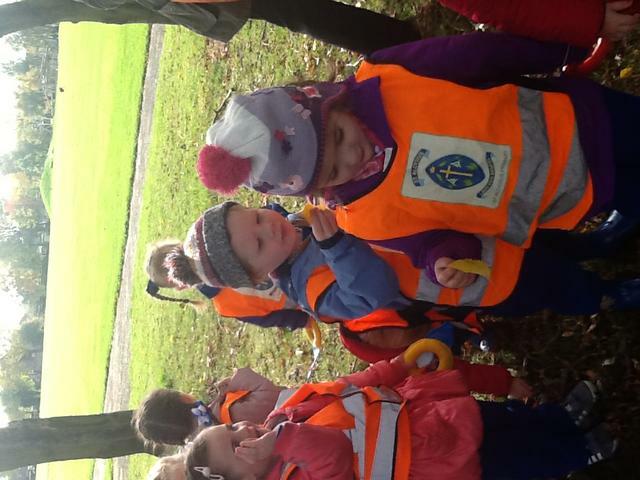 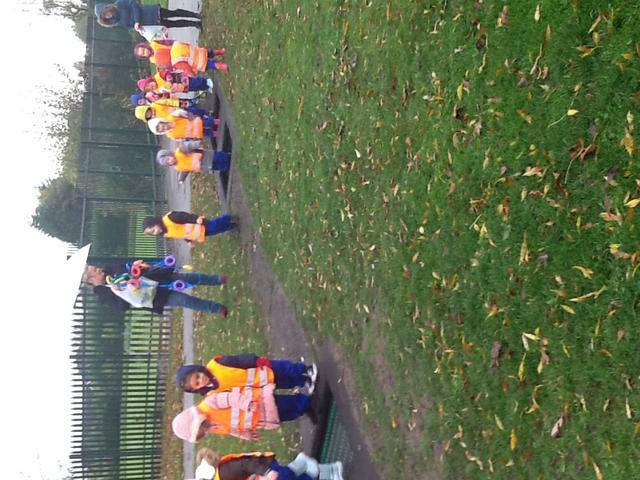 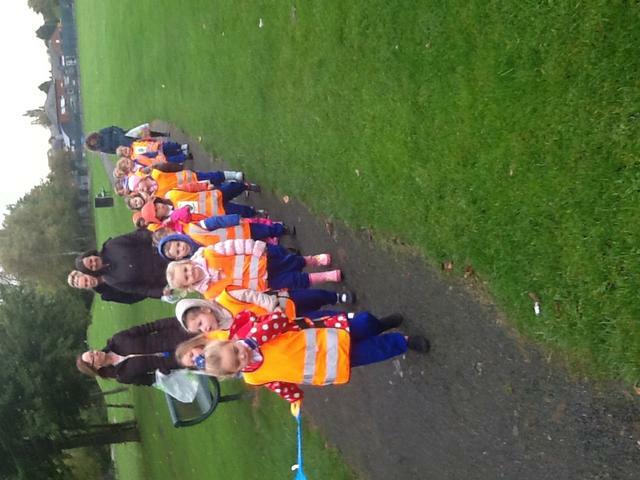 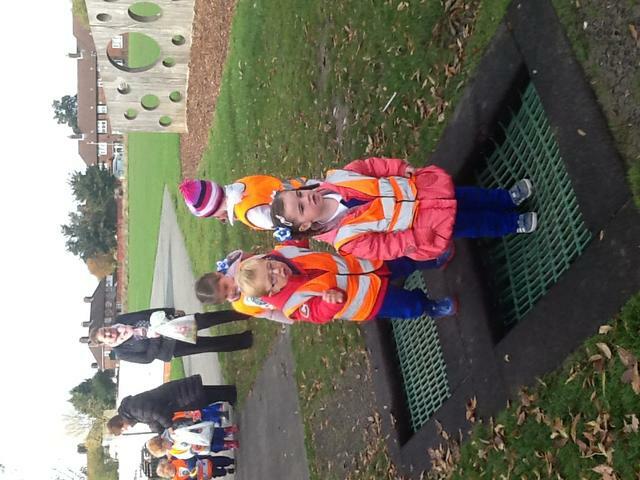 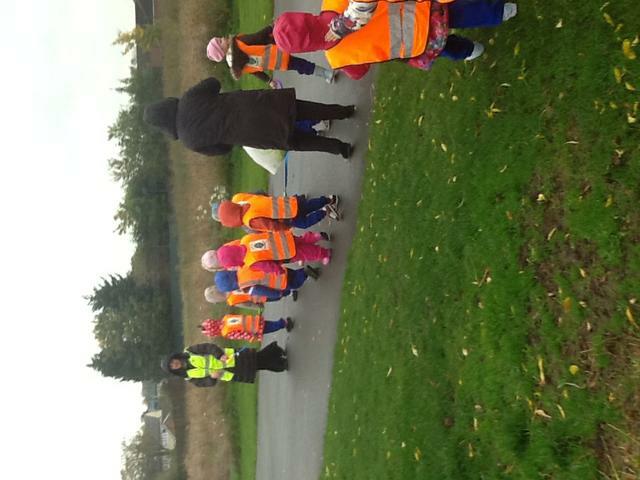 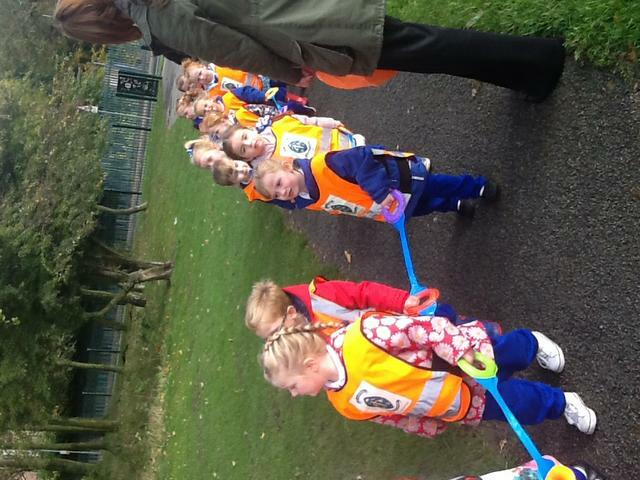 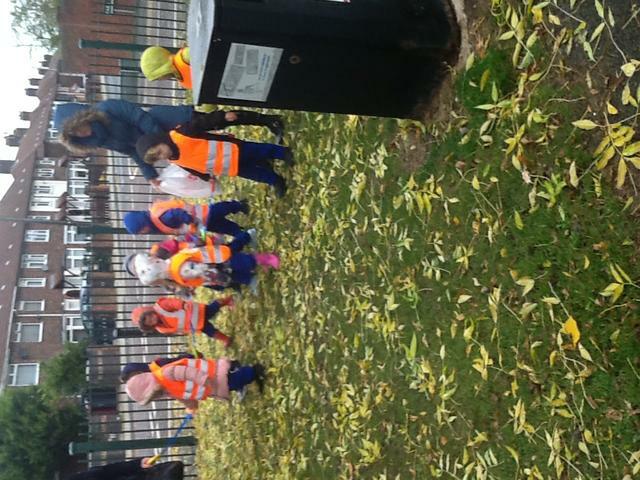 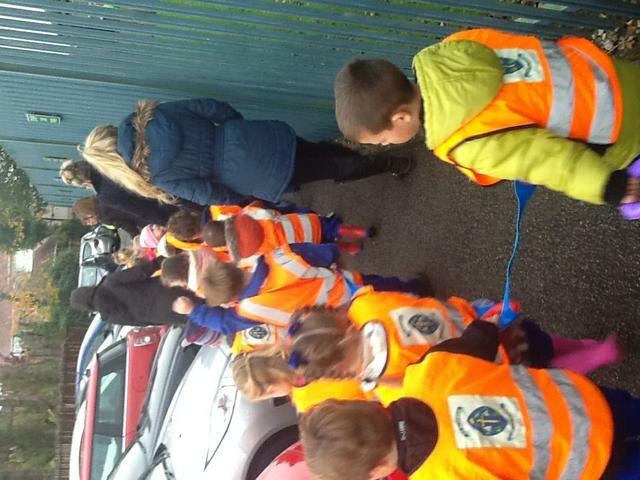 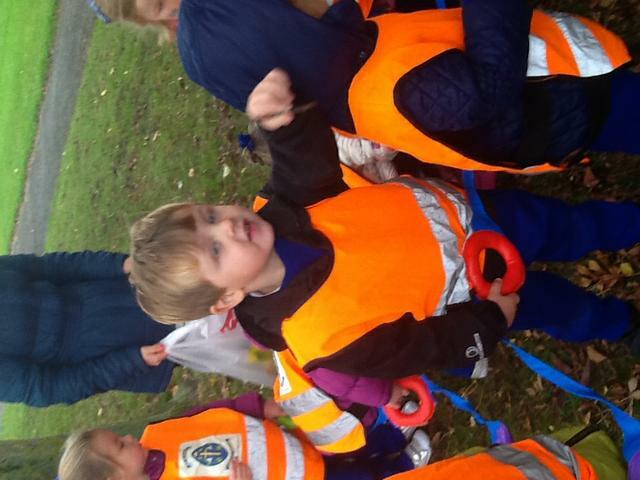 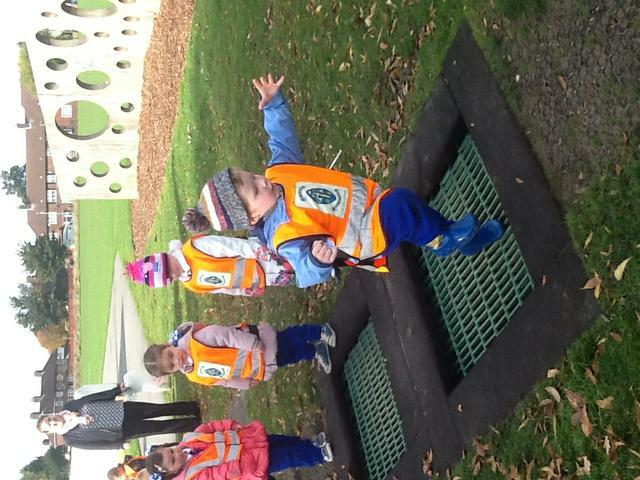 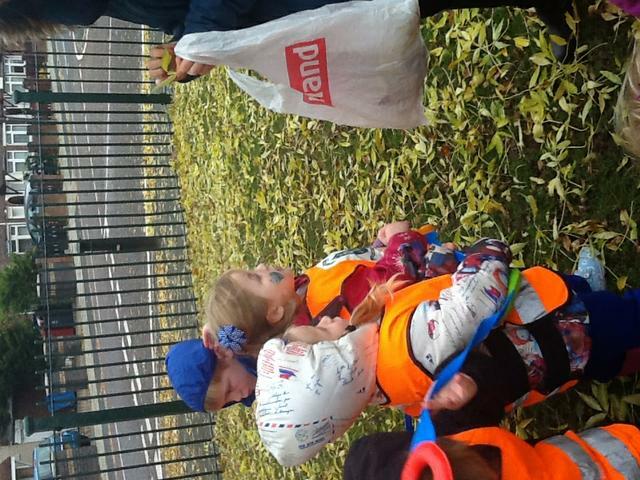 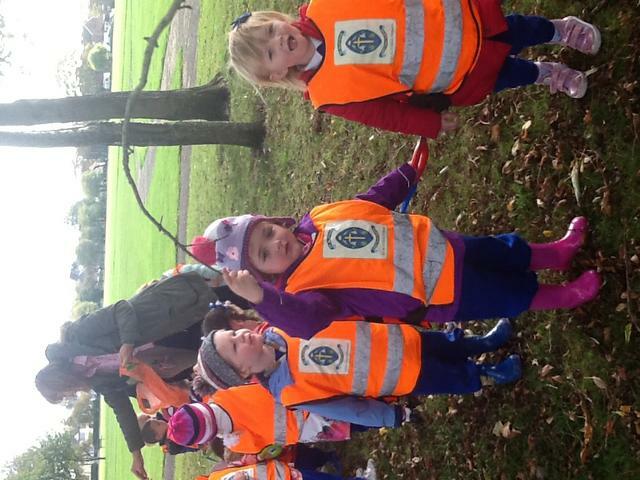 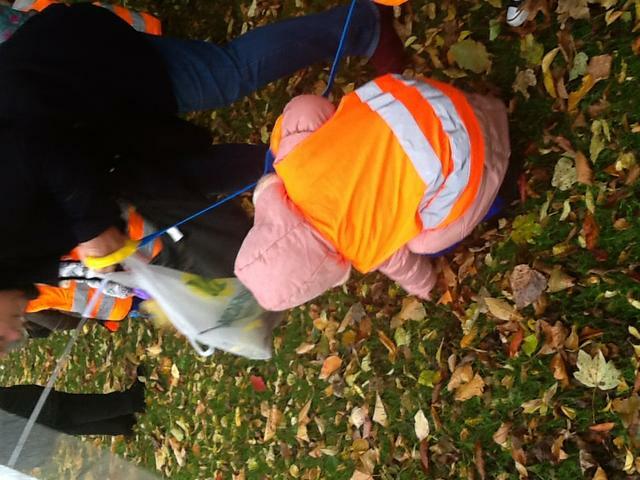 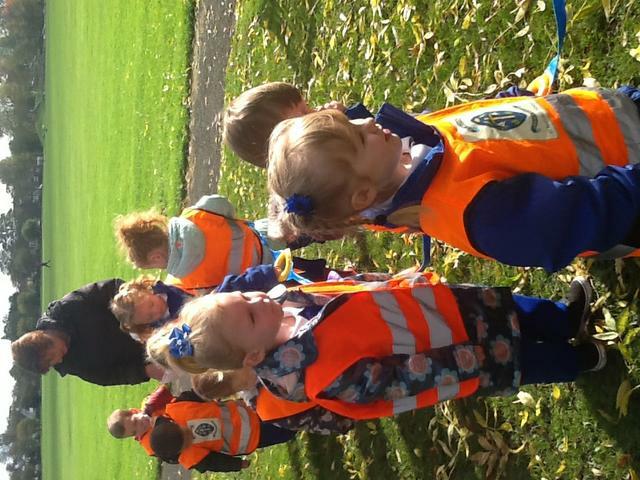 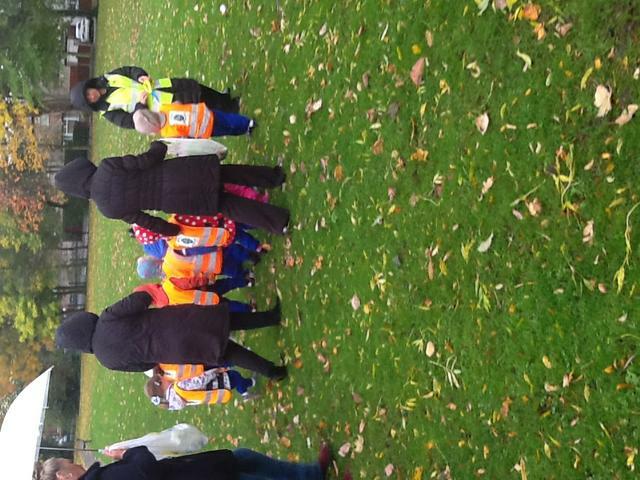 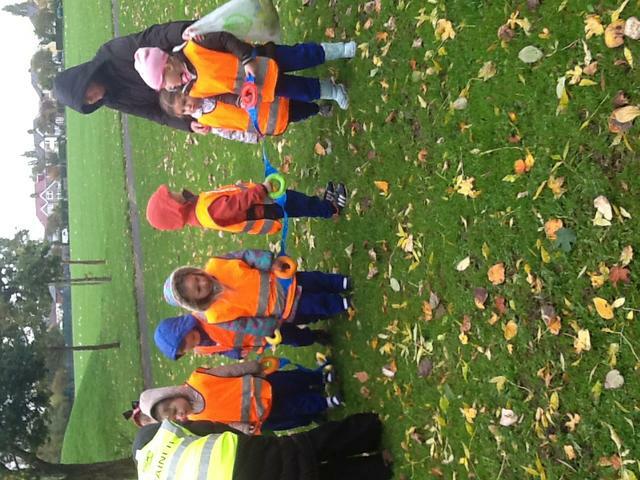 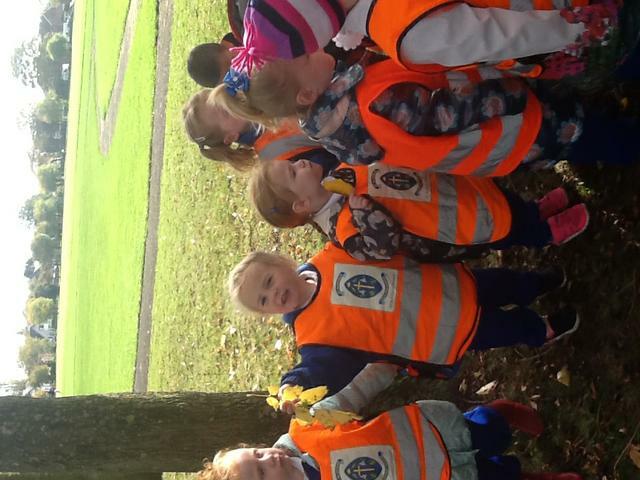 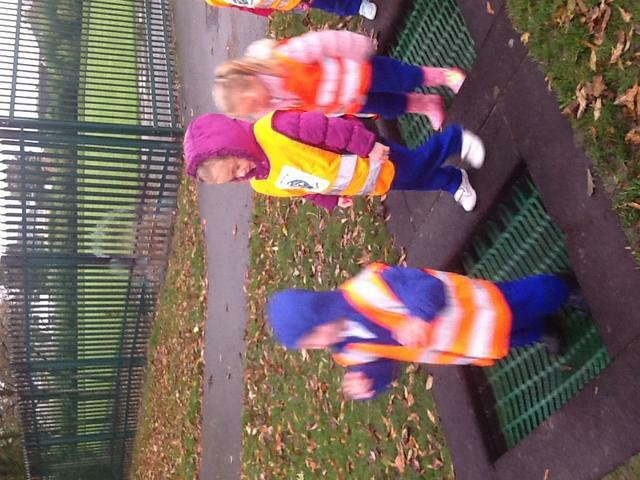 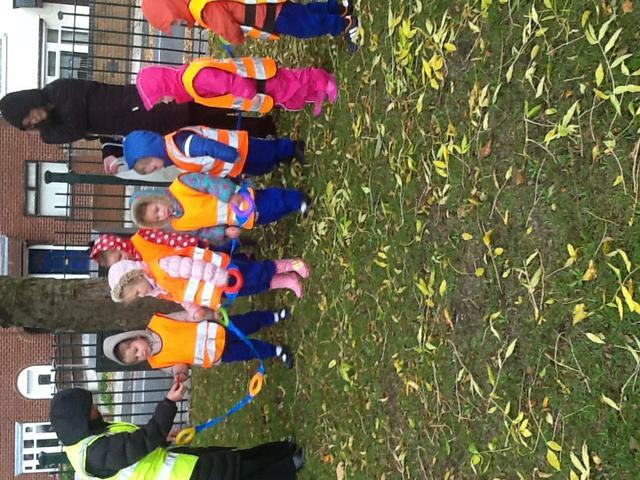 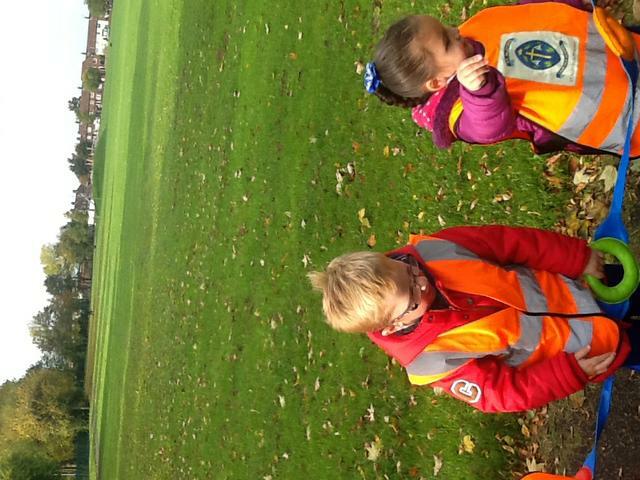 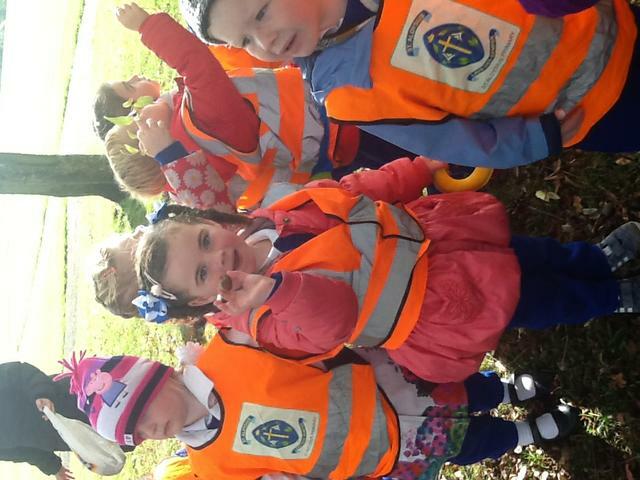 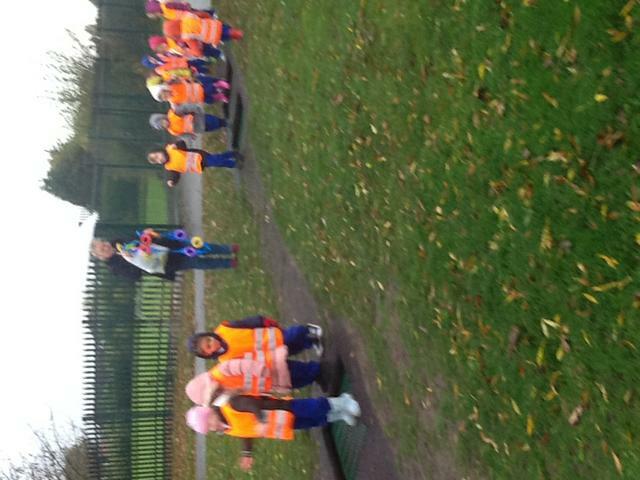 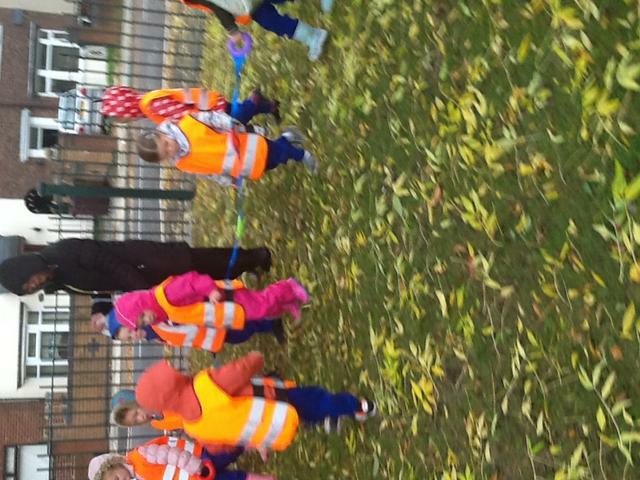 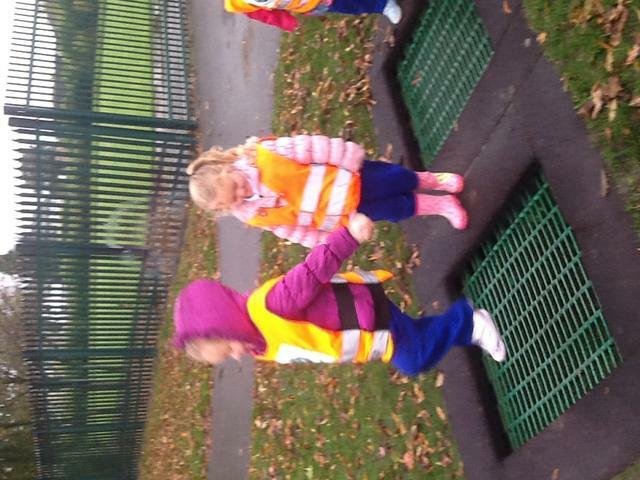 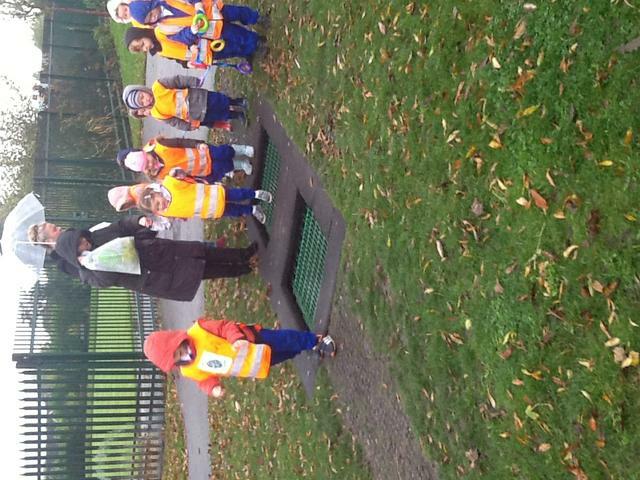 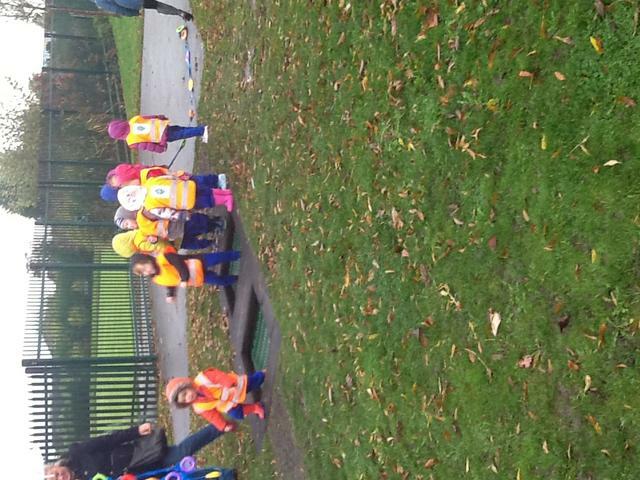 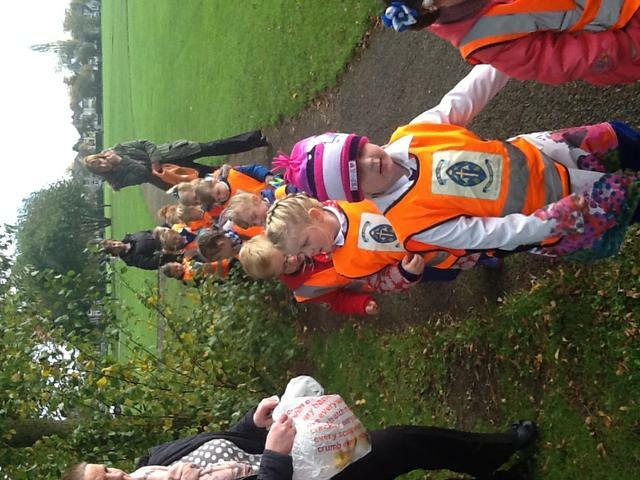 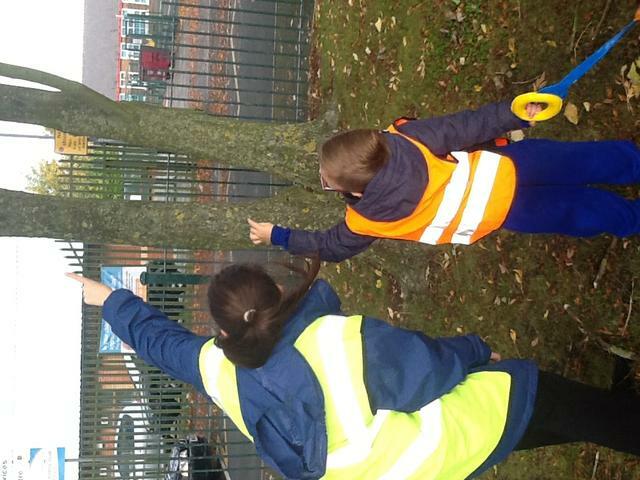 We were very excited as we put on our high visibility jackets and set off from school. 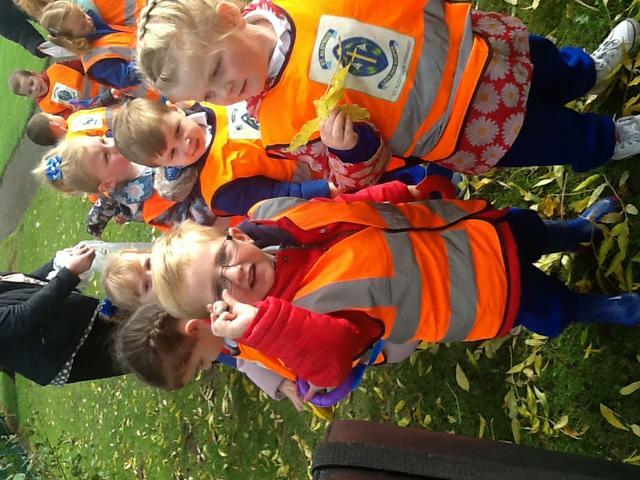 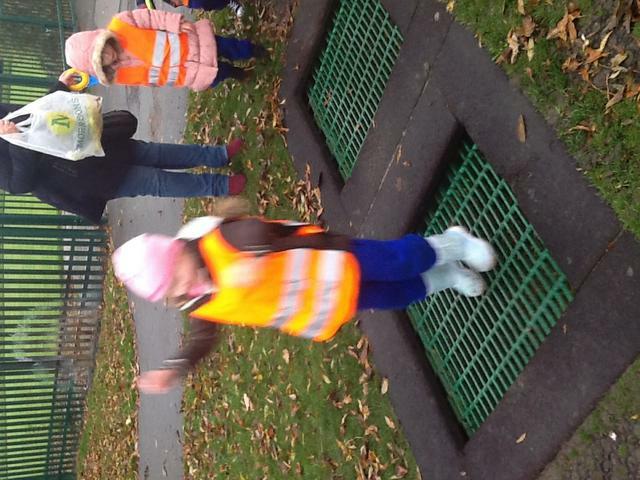 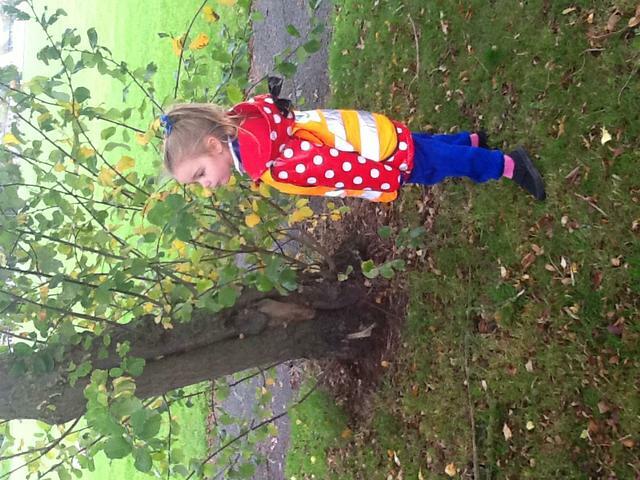 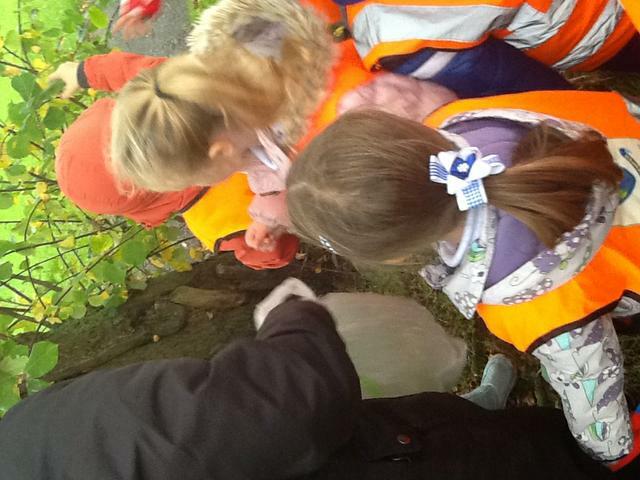 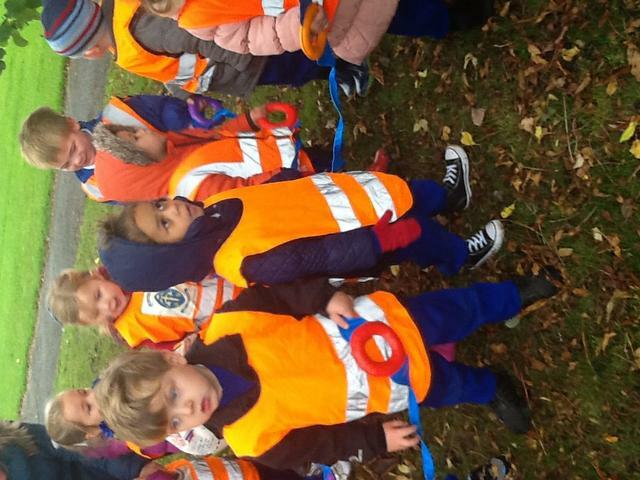 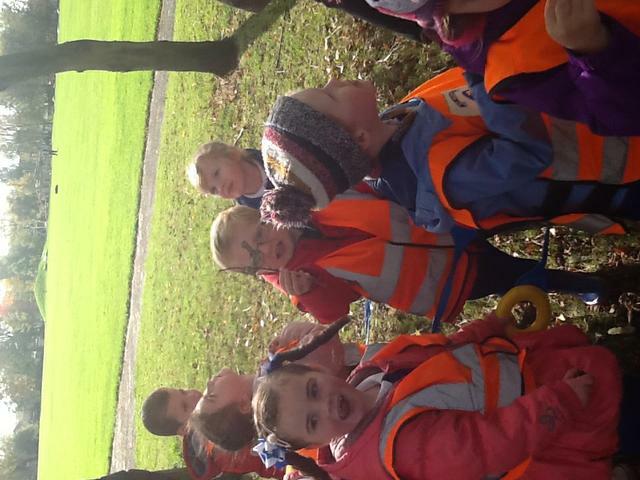 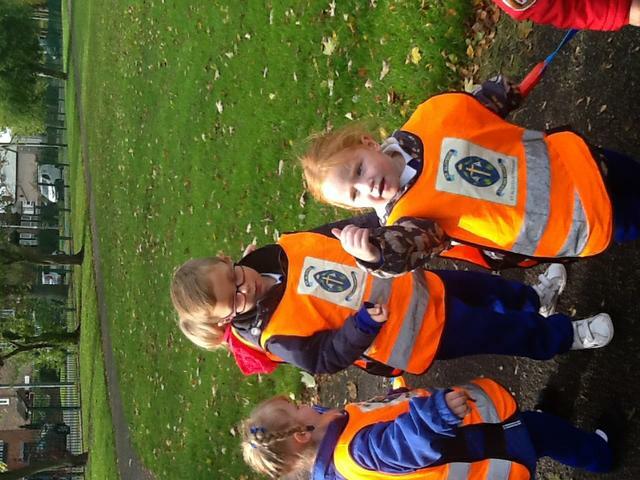 During our trip we walked over lots of leaves and twigs listening to the crunching sounds. 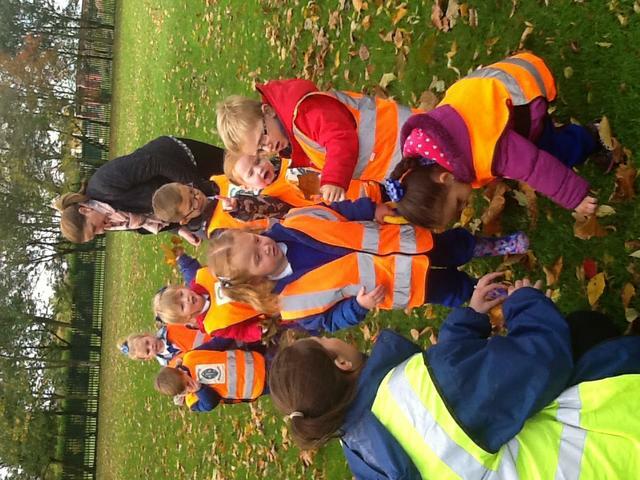 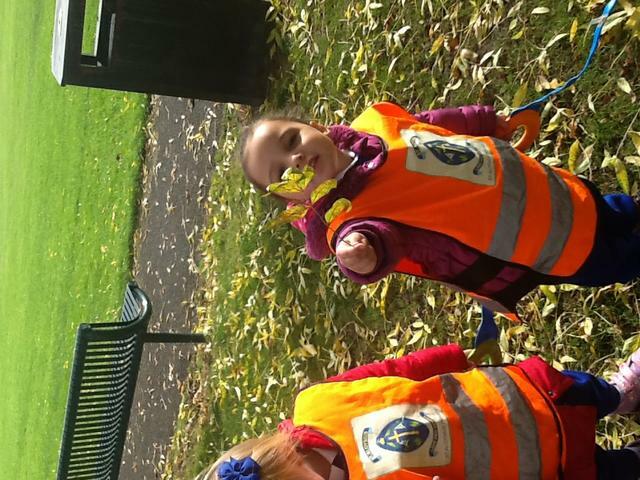 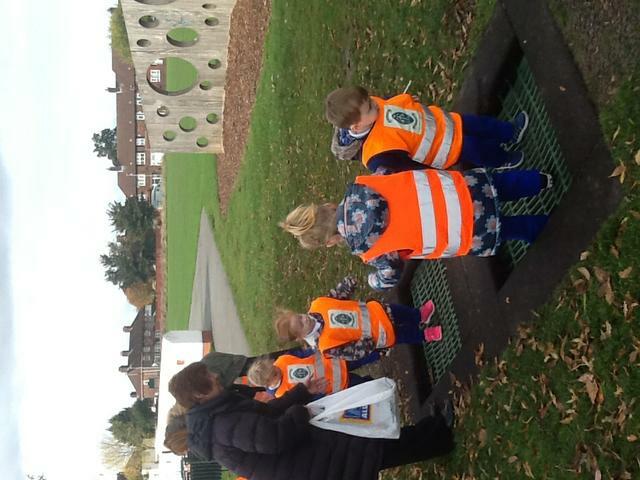 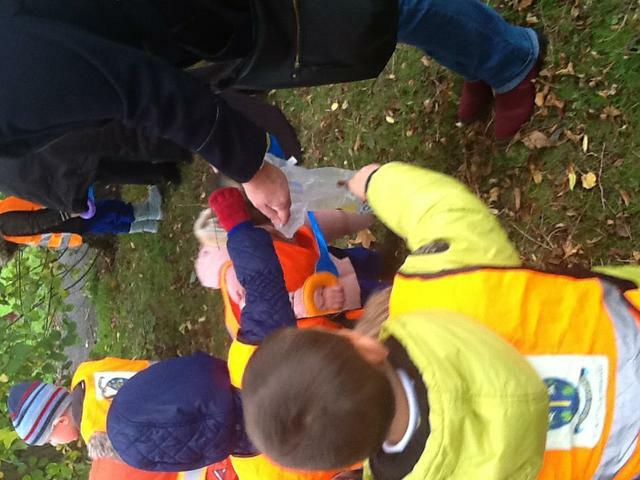 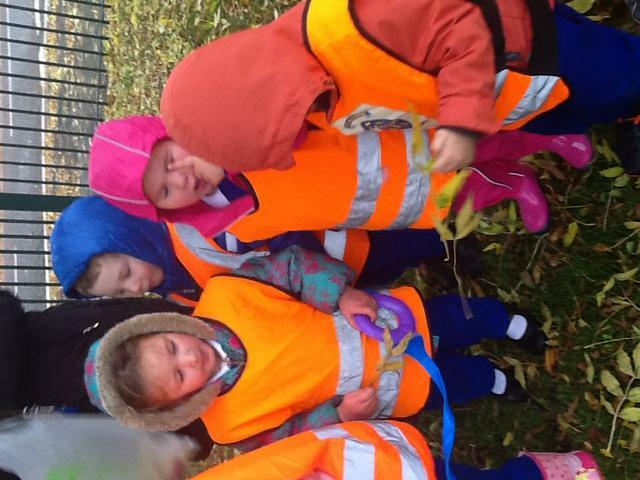 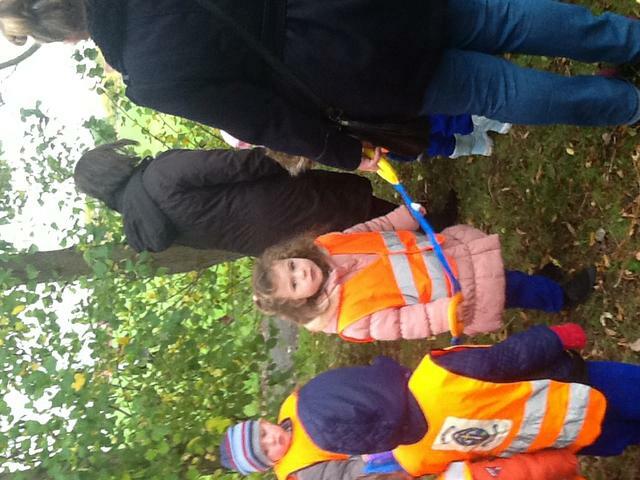 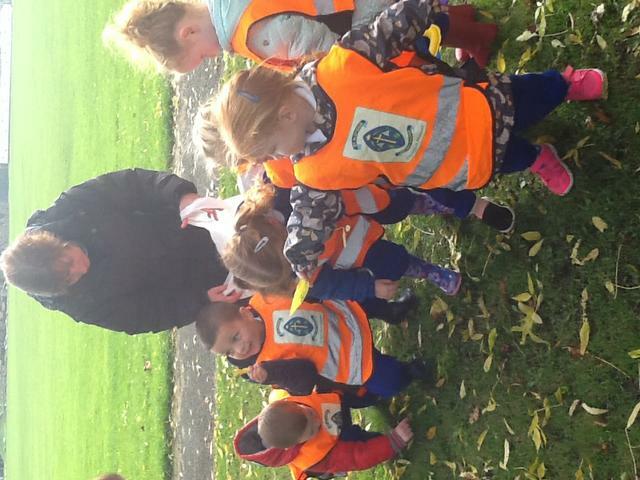 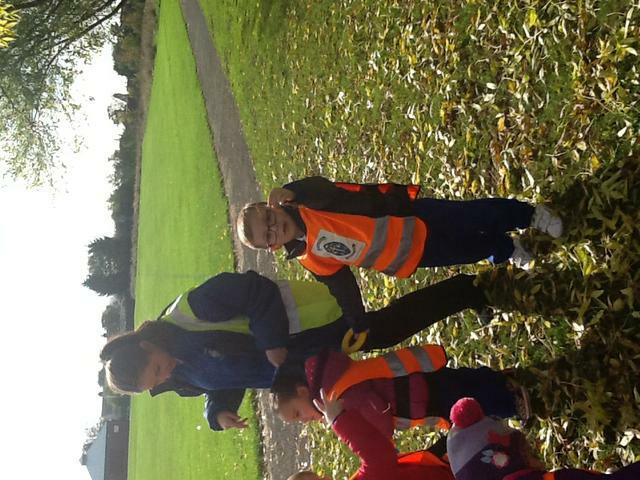 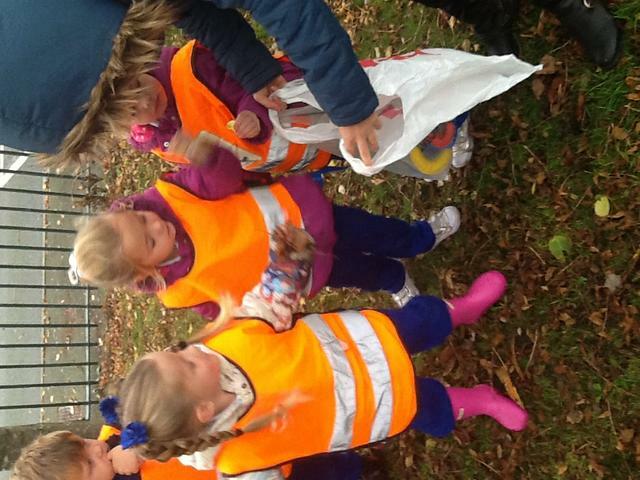 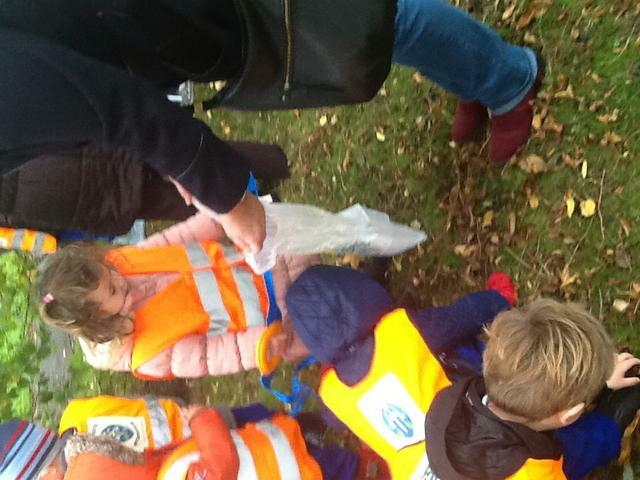 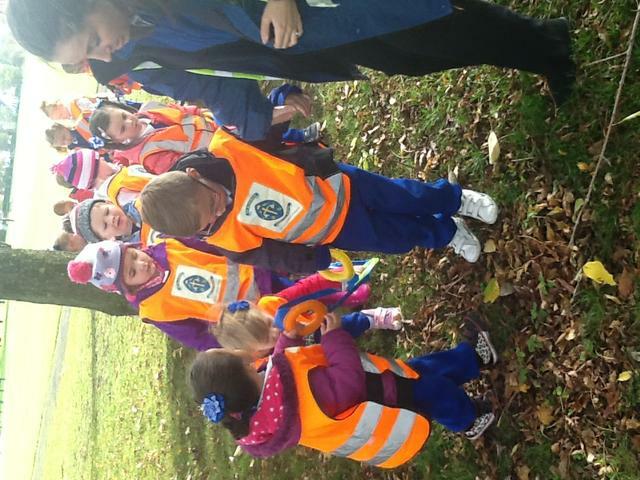 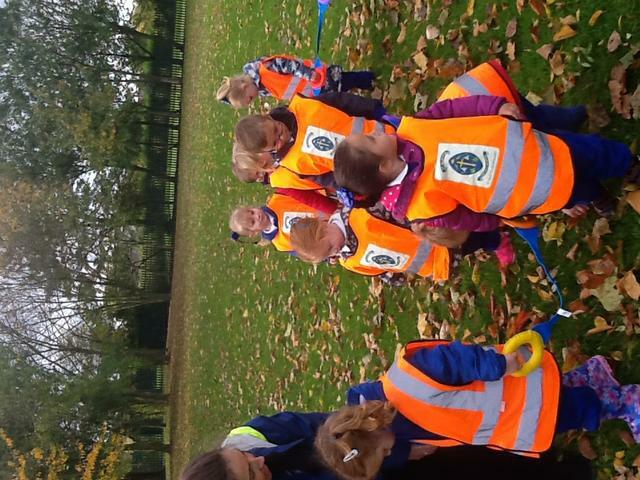 We also stopped under the huge trees to collect our favourite leaves and explore the range of colour they change to. 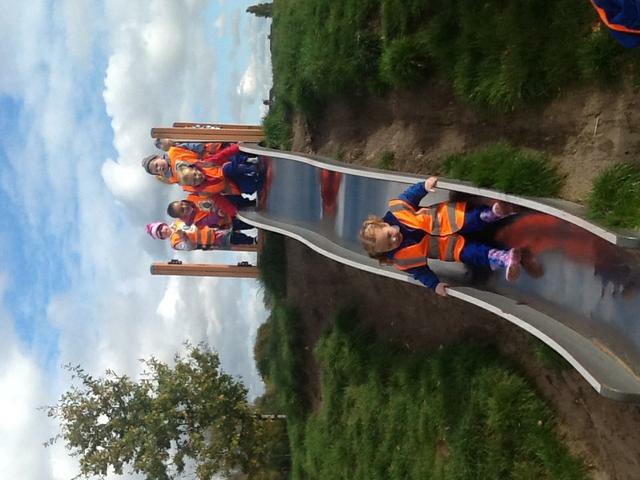 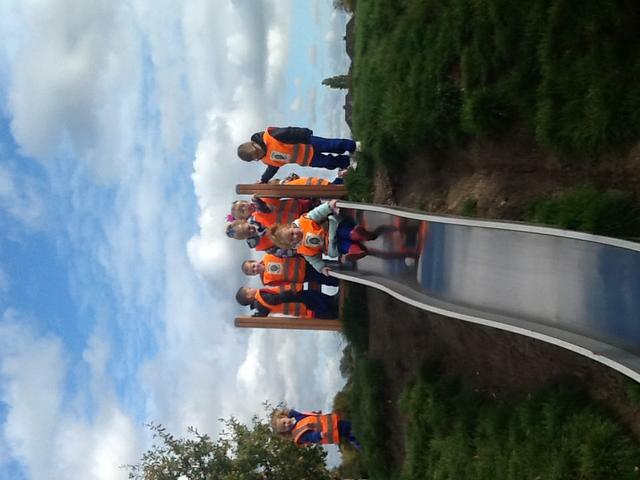 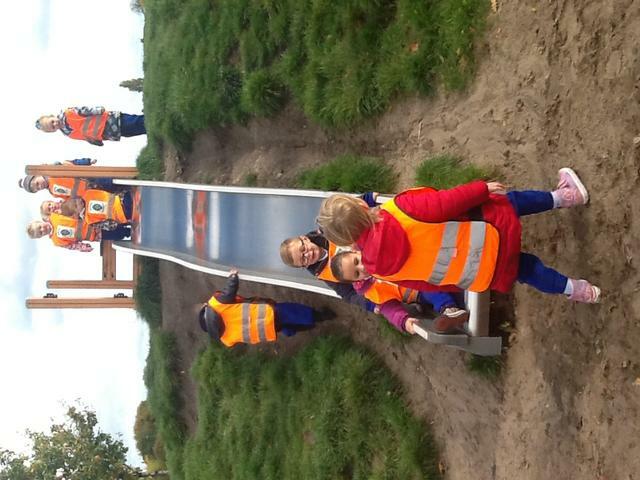 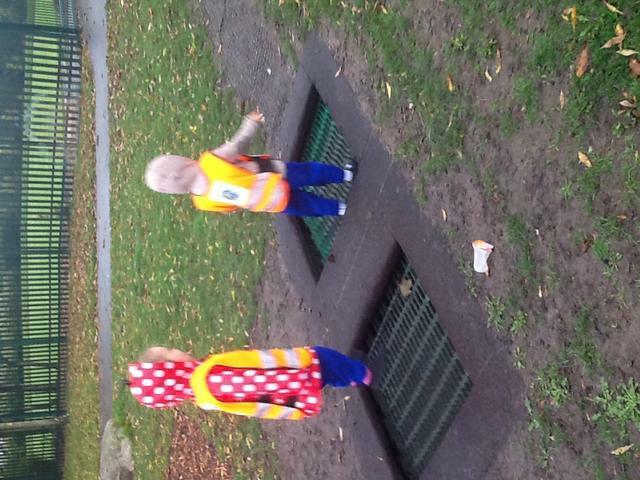 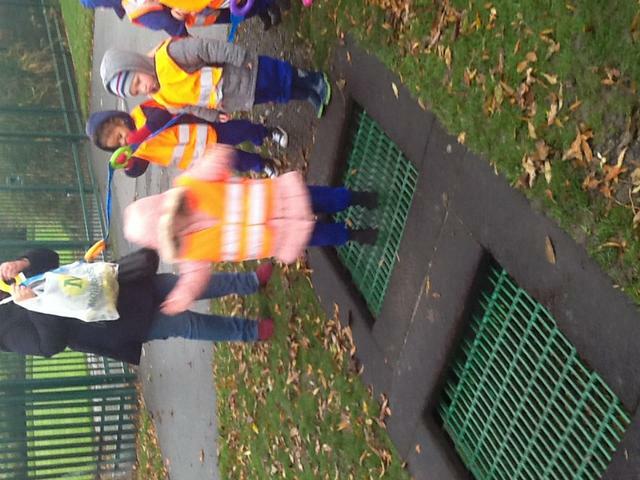 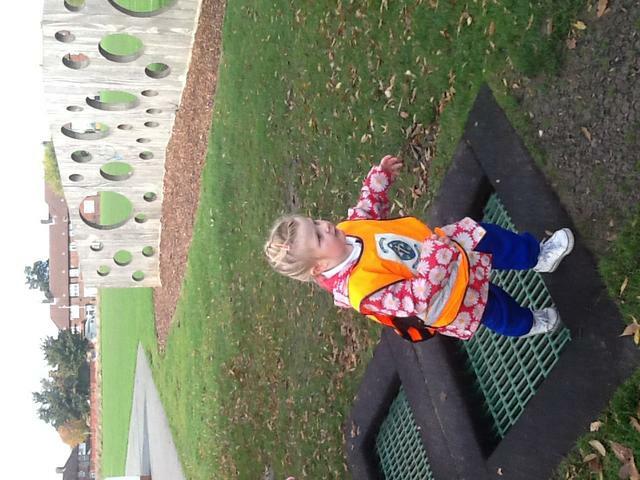 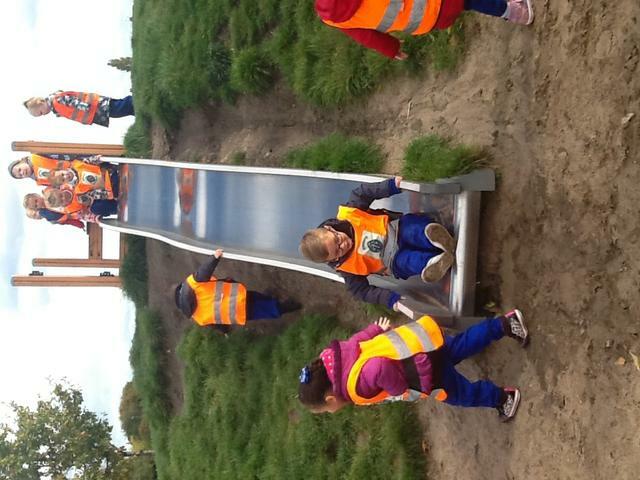 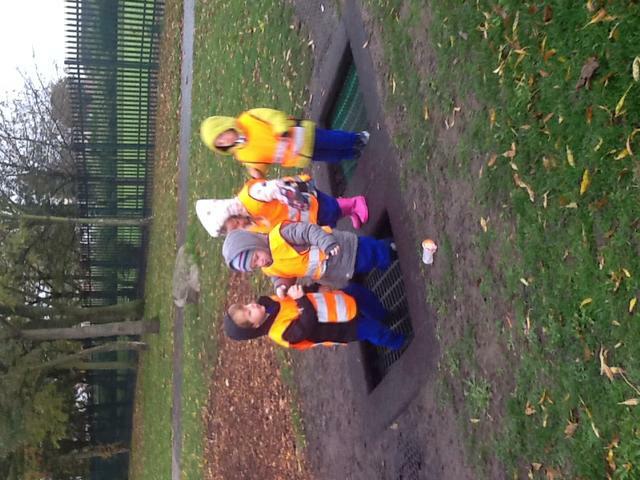 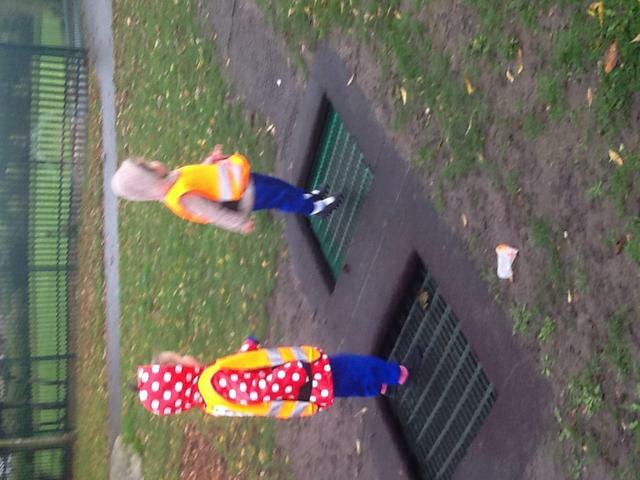 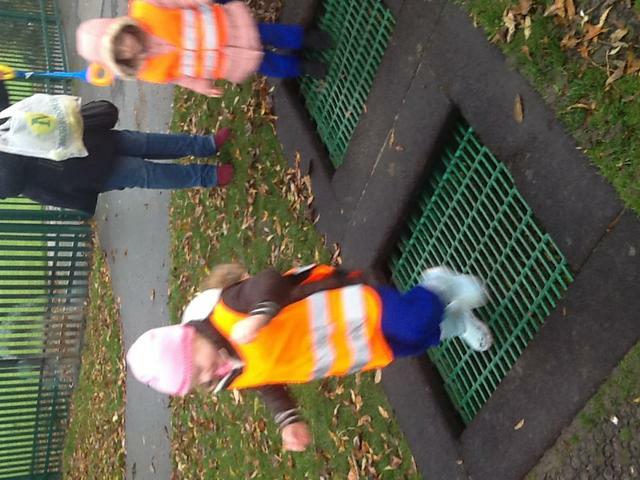 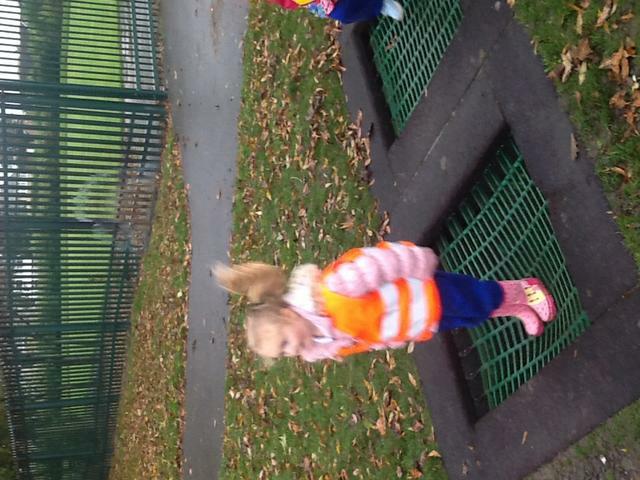 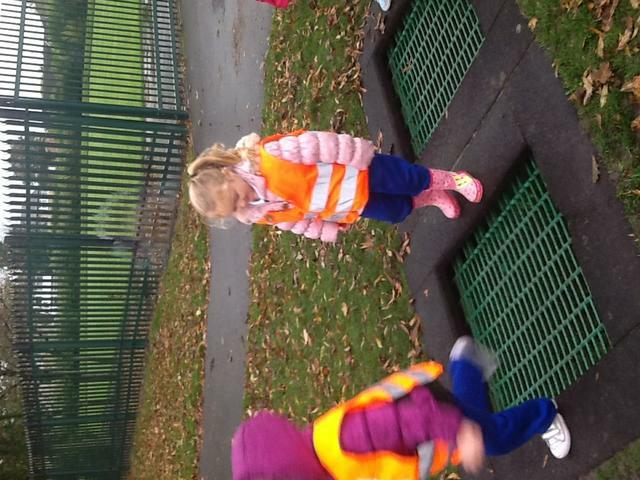 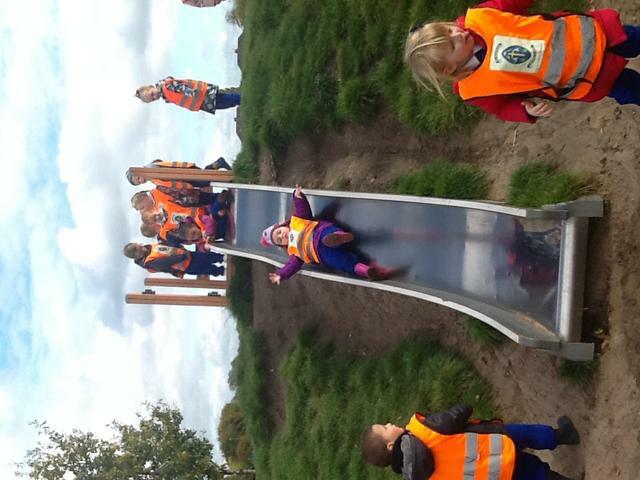 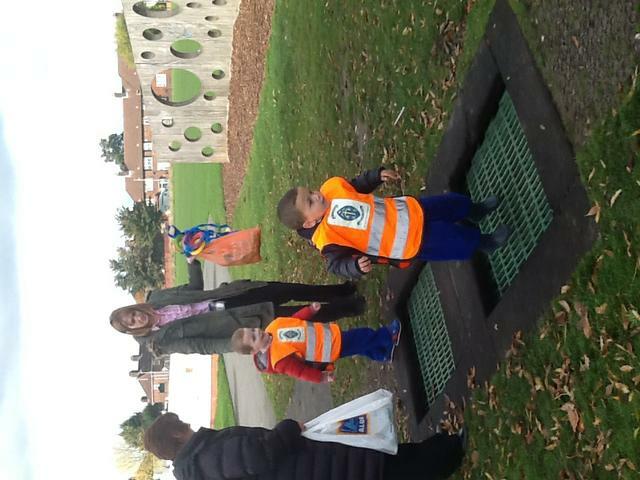 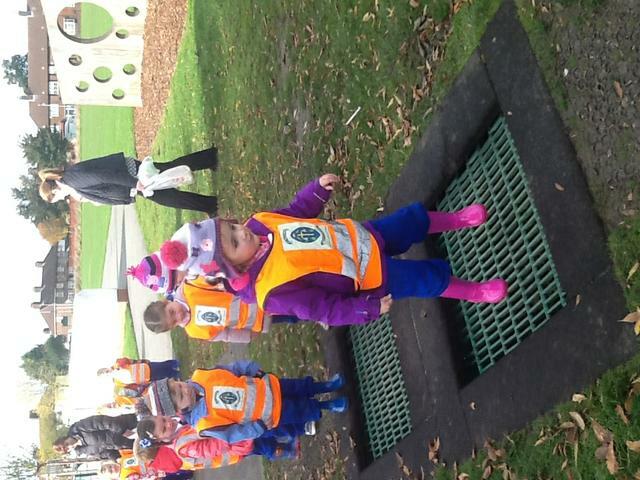 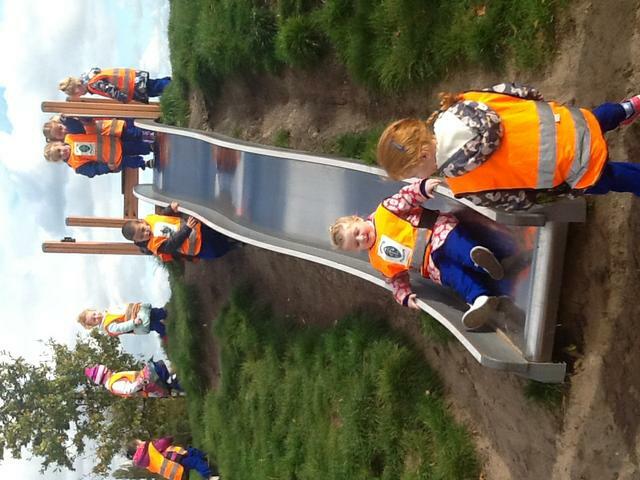 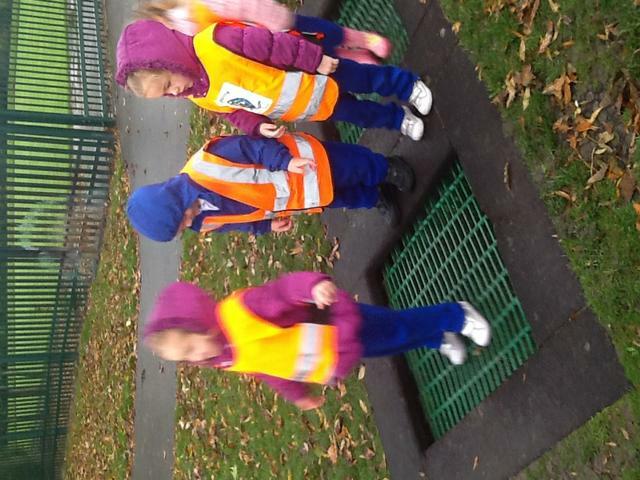 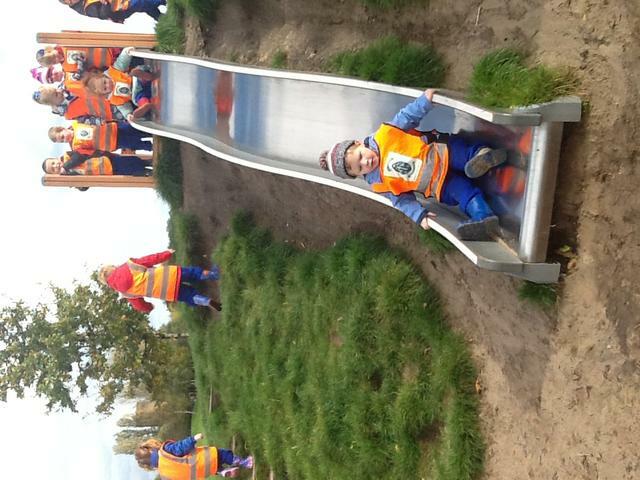 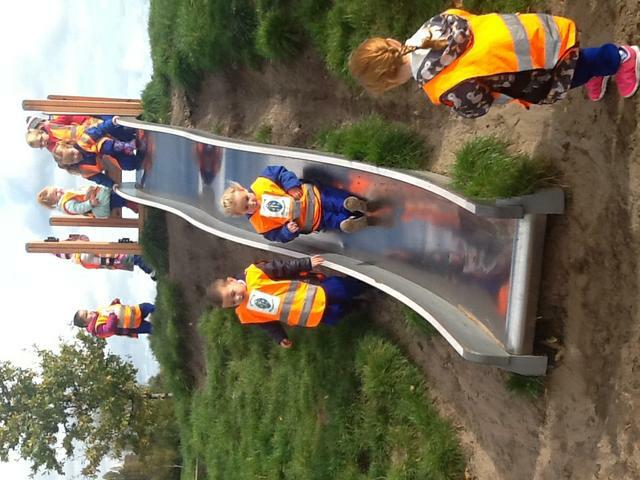 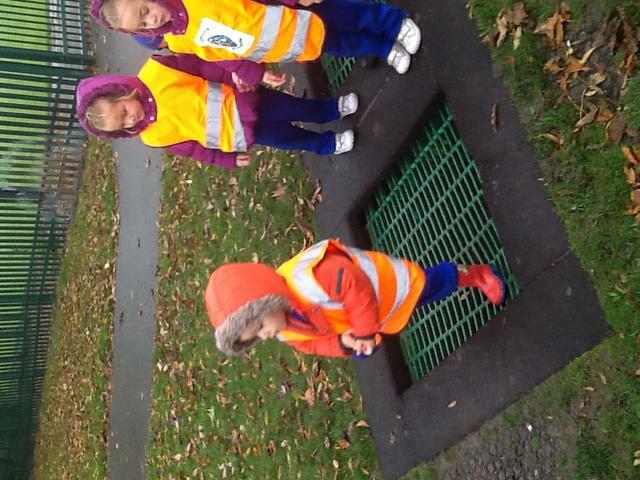 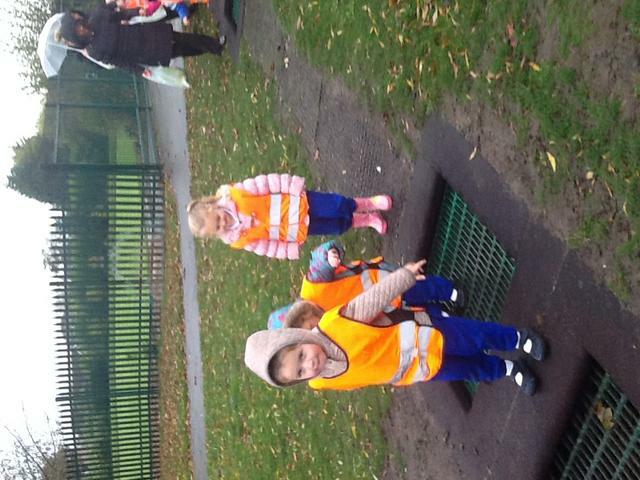 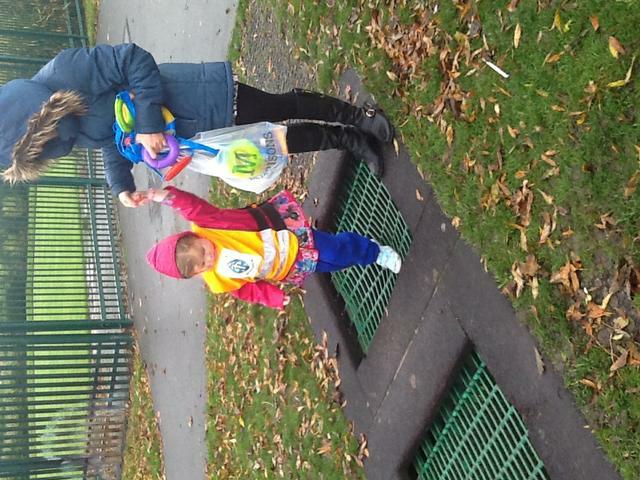 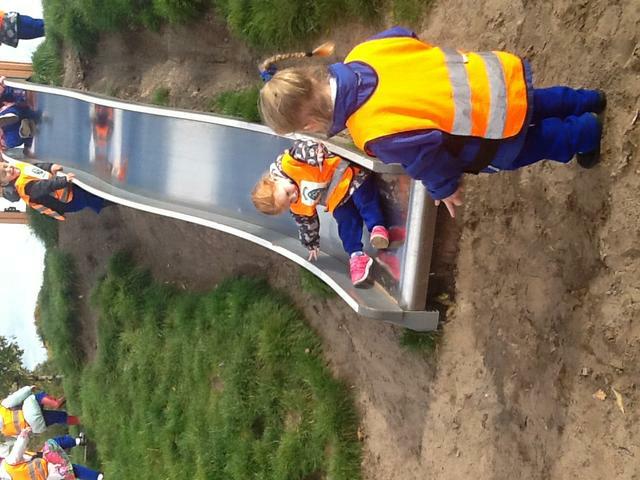 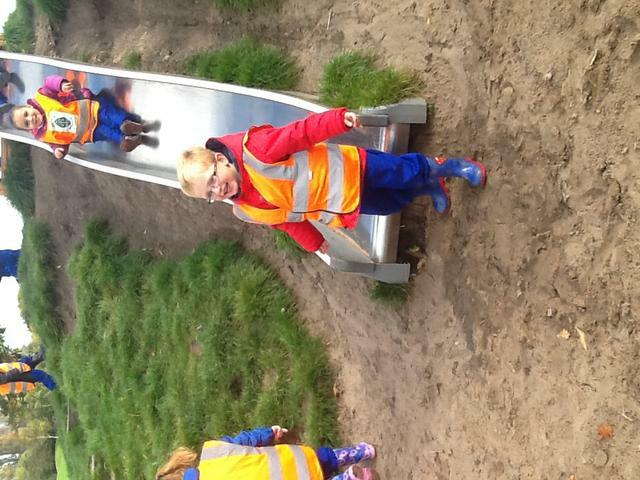 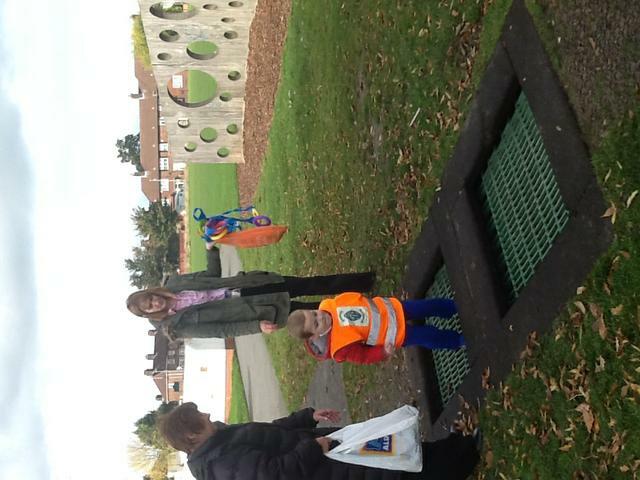 Our favourite part of our Autumn walk was visiting the play area. 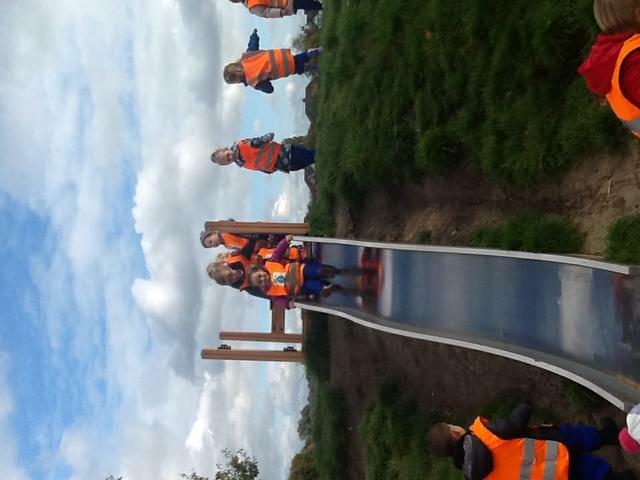 We had a wonderful time jumping on the trampolines and swooshing down the slide.